The company is offering 111 days phone and screen replacement facility on Flip6 flip phone. The phone is equipped with all the latest features like camera with flash, FM Radio and more. Jivi Mobiles has brought back the era of traditional handsets – feature phones in a smarter way. Keeping pace with that era and making sync with the modern times, Jivi Mobiles, a leading homegrown feature and smartphone brand which believes in the core philosophy of “Old is always Gold” has brought old memories back for the feature phone lovers. The Company has recently launched a feature phone Flip 6 with stylish flip design at a price of Rs 1,999. In addition, the 1-year warranty on the handset company is also giving 111 days of phone and screen replacement. 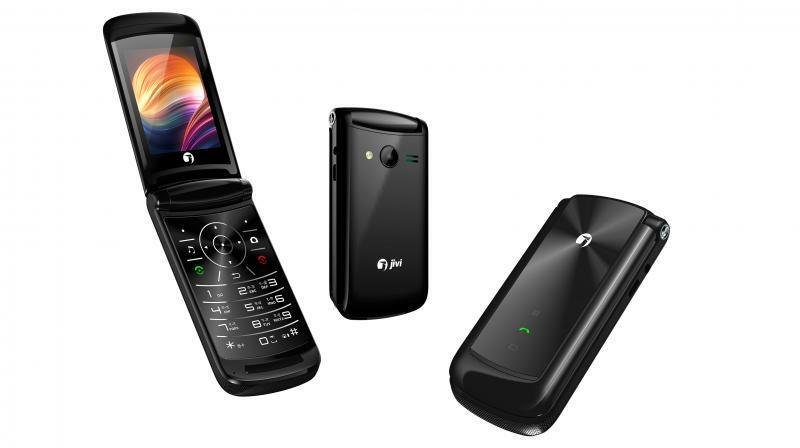 The phone is equipped with all the latest features like a camera with flash, FM Radio (MP3/MP4 Player) with 3.5mm audio jack, 1200mAh battery, Bluetooth, torchlight. Flip 6 has an auto call recording feature for conversation. The phone also has mobile tracker supports expandable memory up to 128GB. The phone is also available on Flipkart at a price of Rs 1,699.